Today's theme ... eleven. Eleven was not one of the 365 themes so I choose to use a free theme for today's post. I saved this shot I took a few days ago as the perfect shot for 1/11/11. 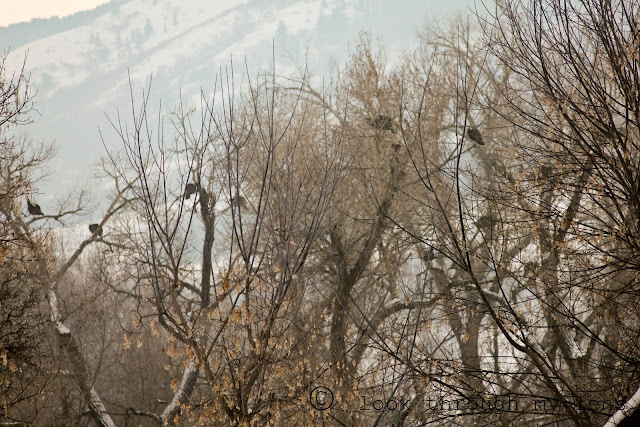 Eleven turkeys roosting in the trees. Can you spot all 11? This could be out of one of those I Spy books! Fun captured for the date! Ha! Nice job of capturing 11. Wow, that was a fortunate find! or else a great crop of the 12th!! Whatever...a nice theme shot.